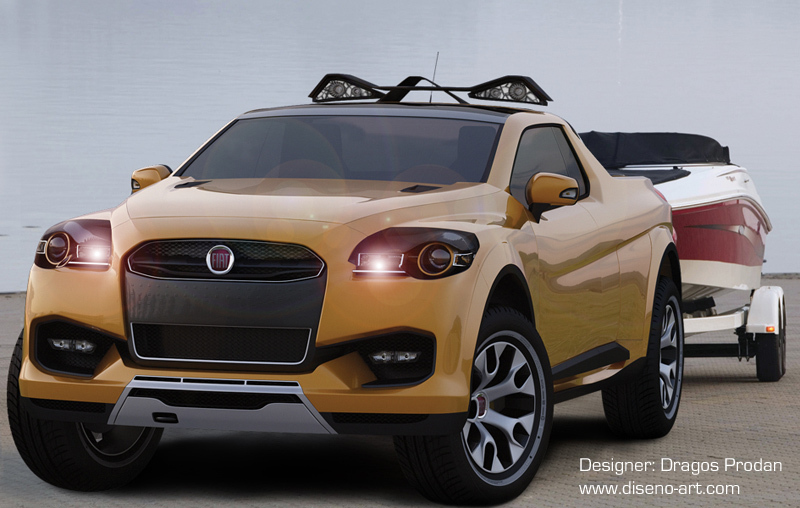 The Fiat Sentiero is the work of Dragos Prodan, a 2009 industrial design graduate of George Enescu University in Iasi, Romania. 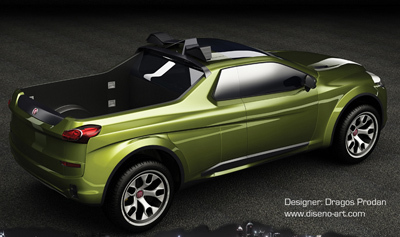 The vehicle was developed as part of his final year project. 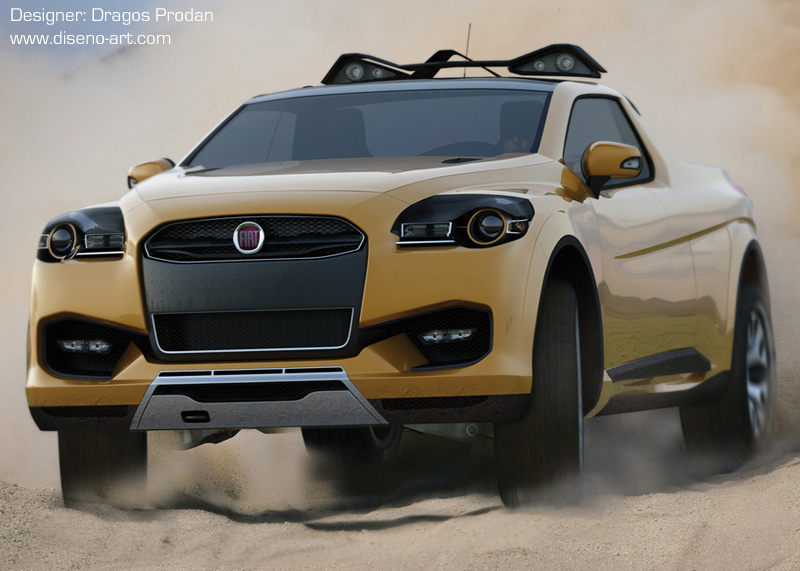 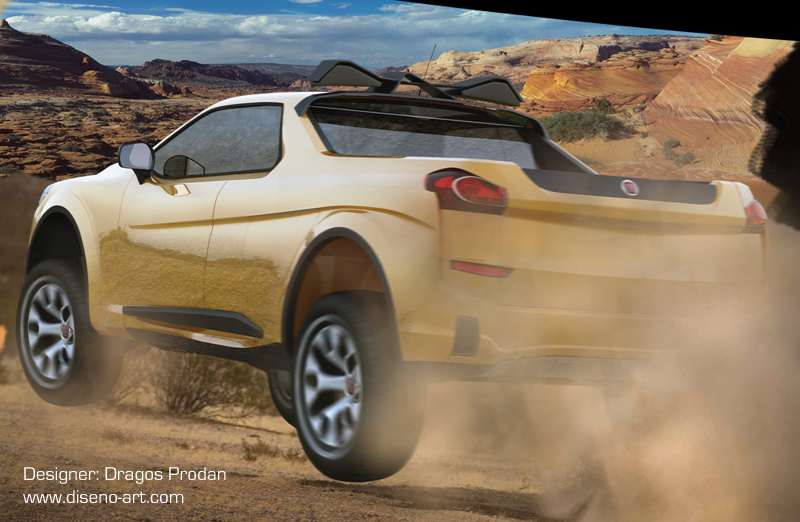 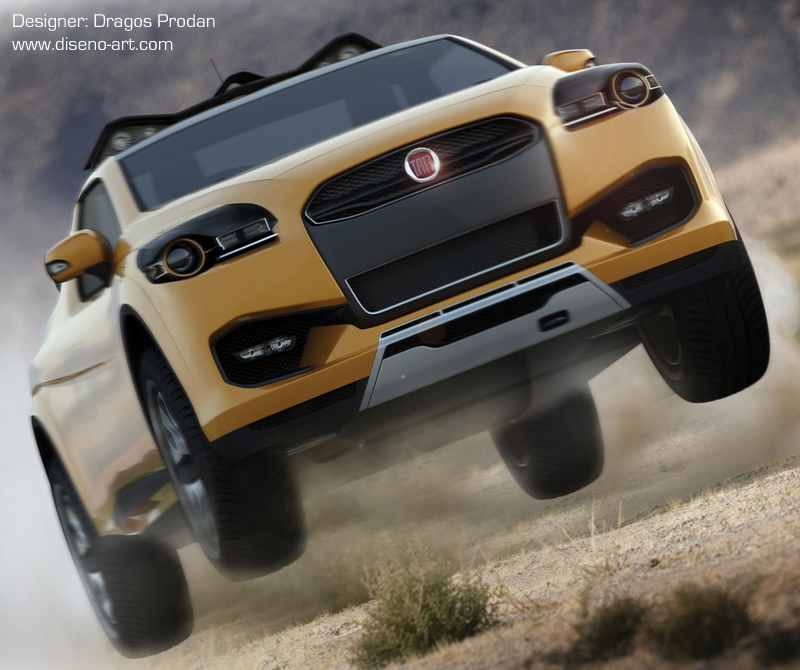 The concept was developed for the Fiat brand as Dragos felt that a utility vehicle such as the Sentiero would be a natural progression to the company's line up and compliment the other vehicles on offer. The styling was based on both Fiat's current design language and also Italian design in general. 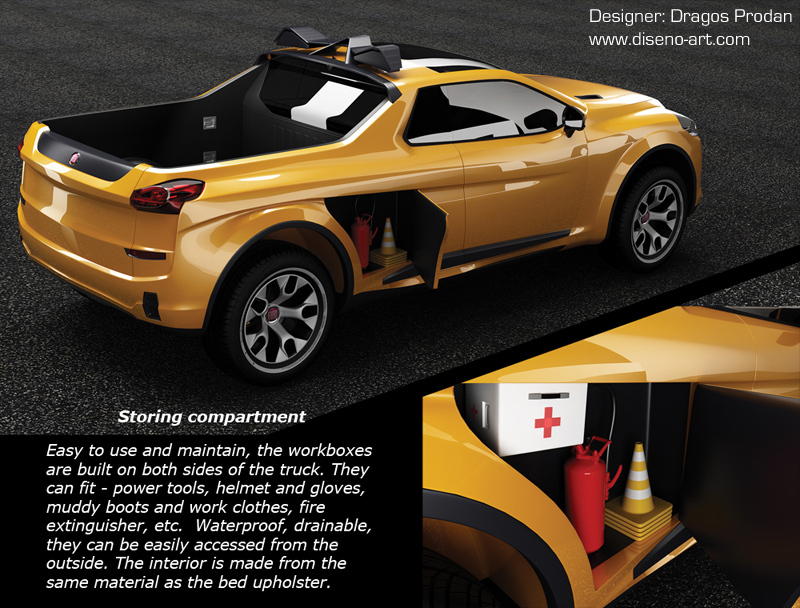 The vehicle needed to be practical, functional and perhaps most important for a concept, Innovative. 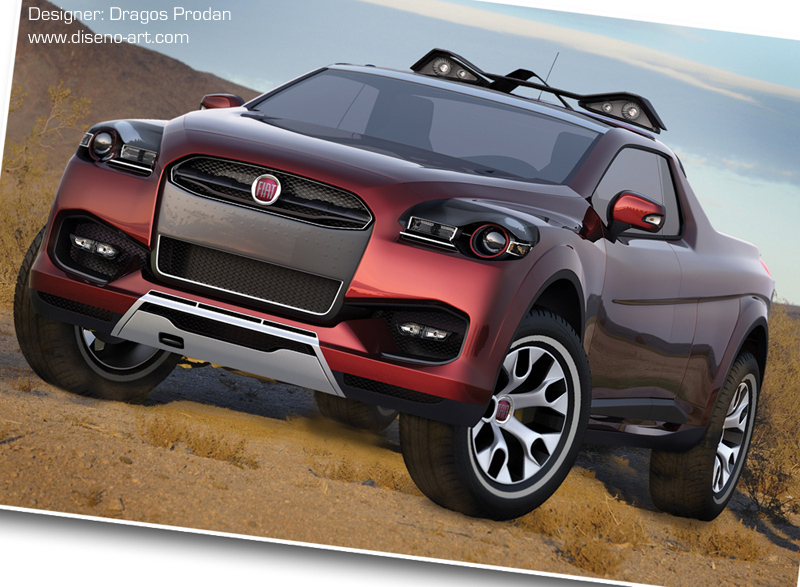 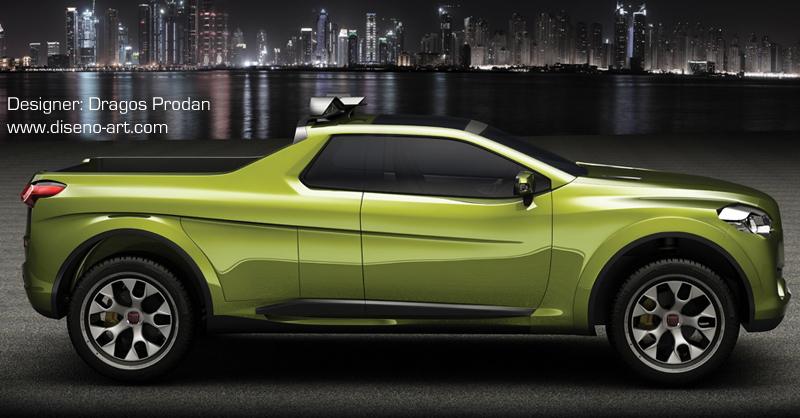 Dragos also wanted to give the concept a strong personality and a striking shape. 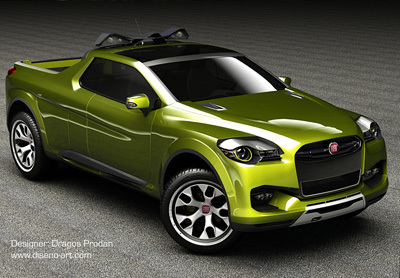 The Fiat Sentiero concept is a compact sized pick-up truck which is primarily designed for the European markets. 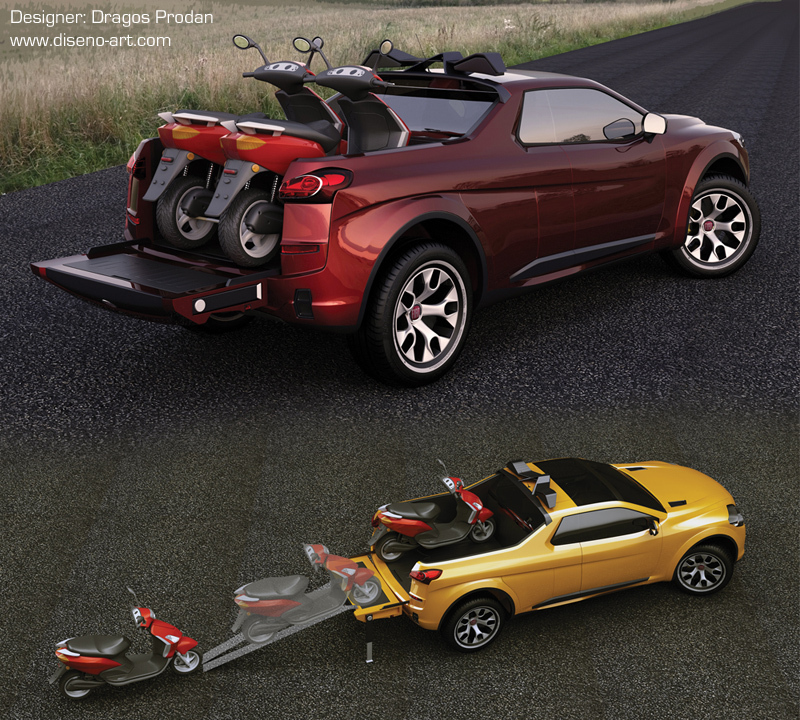 The vehicle offers several different cargo areas. There is a the obvious main bed at the rear, but the concept also features lockable storage compartments just forward of the rear wheels, and other sealed compartments in both the rear of the bed and in the tailgate. -Lock mode - power is evenly distributed between the front and rear wheels. The proposed engine for the Sentiero is a 3.0 litre, v6 diesel engine, offering 250 hp. The truck can tow up to 2400 kg (5291 lbs), and a payload capacity of 820 kg (1807 lbs). It is prewired for trailer brake controller, and features an integrated class III hitch. Active and passive safety systems of the Fiat Sentiero concept include a closed box frame with internal strength steel frame stiffener, electronic brake distribution and brake assistance.